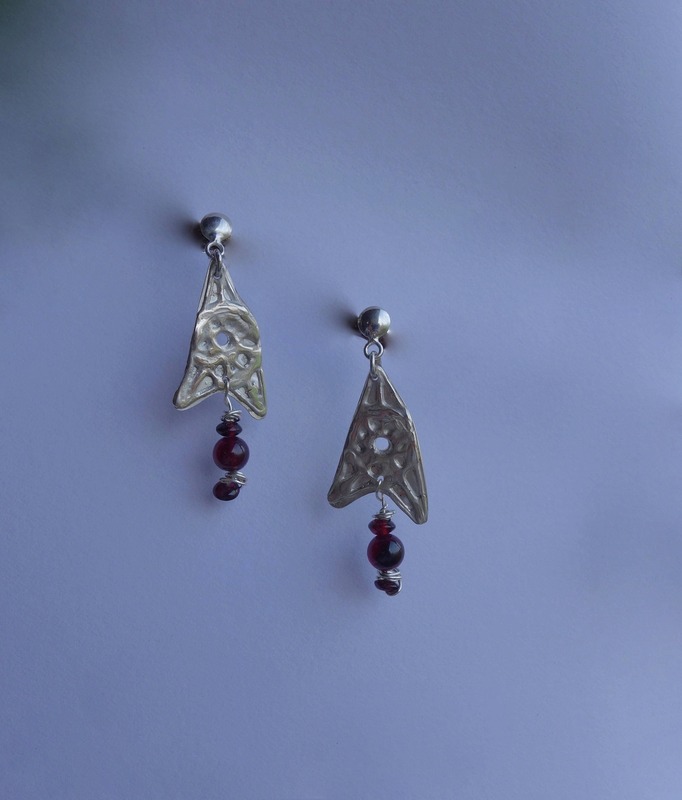 Natural pair of earrings in silver textured with red garnet beads. For women. 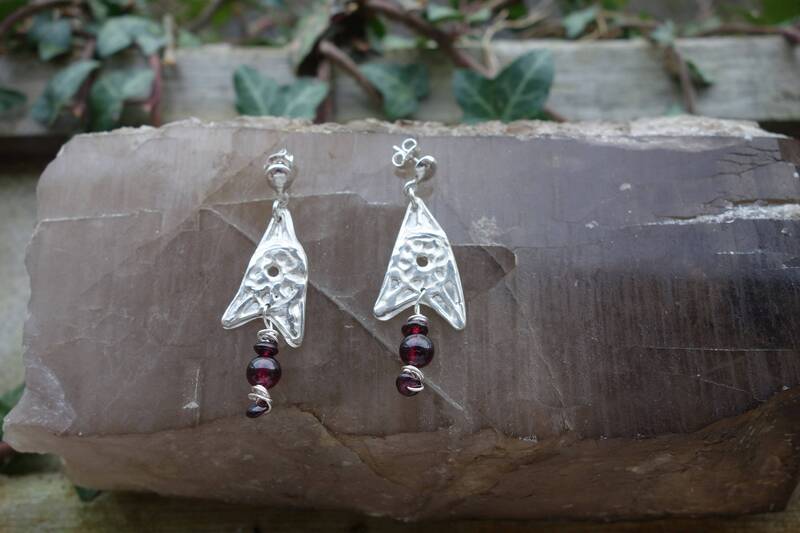 Pair of earrings in silver with texturing on the silver relief style and raspberry red garnet beads. 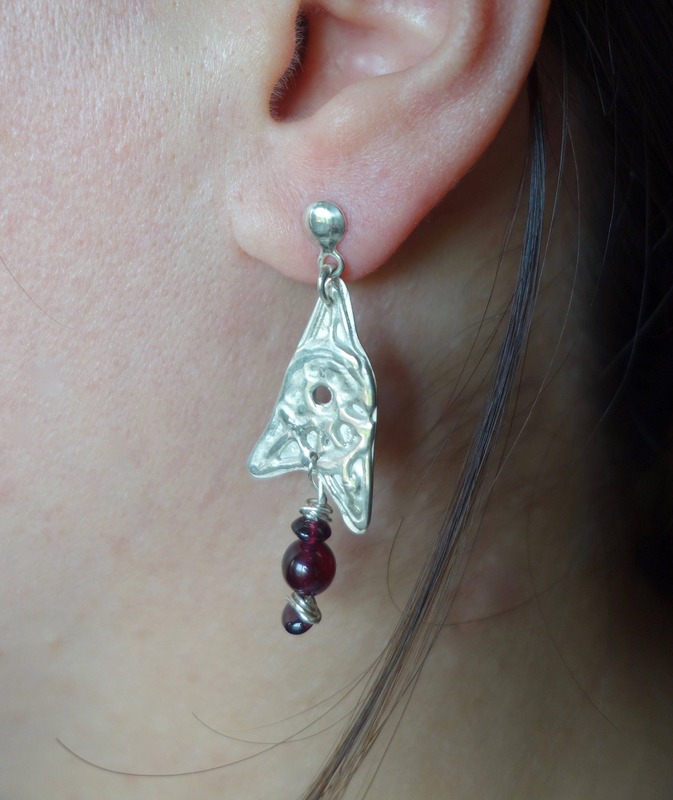 The length of earrings is 4.5 cm by 1.5 cm in width on widest part. This piece was made entirely by hand in my Studio in one piece. It is also marked with my hallmark. Elegant and original, unique jewelry lover's perfect for you.